How big of a problem is heroin addiction in Maine and what is the latest of our understanding about how addiction affects the brain? 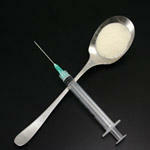 What causes some people to become addicted to drugs and what are we learning about the best ways to help those in need. Dr. Christina Holt, a family physician with Maine Medical Center and Research Director for Maine Med’s residency program; among her areas of interest are addiction services and rural health care. Dr. David Lextercamp, a family practice physician with Seaport Community Health Center; he is also an author.